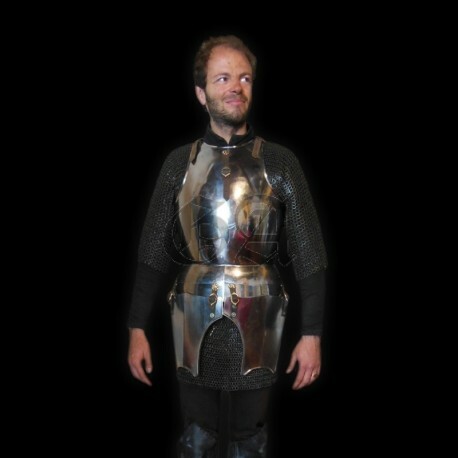 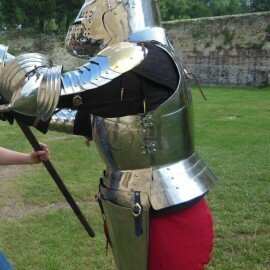 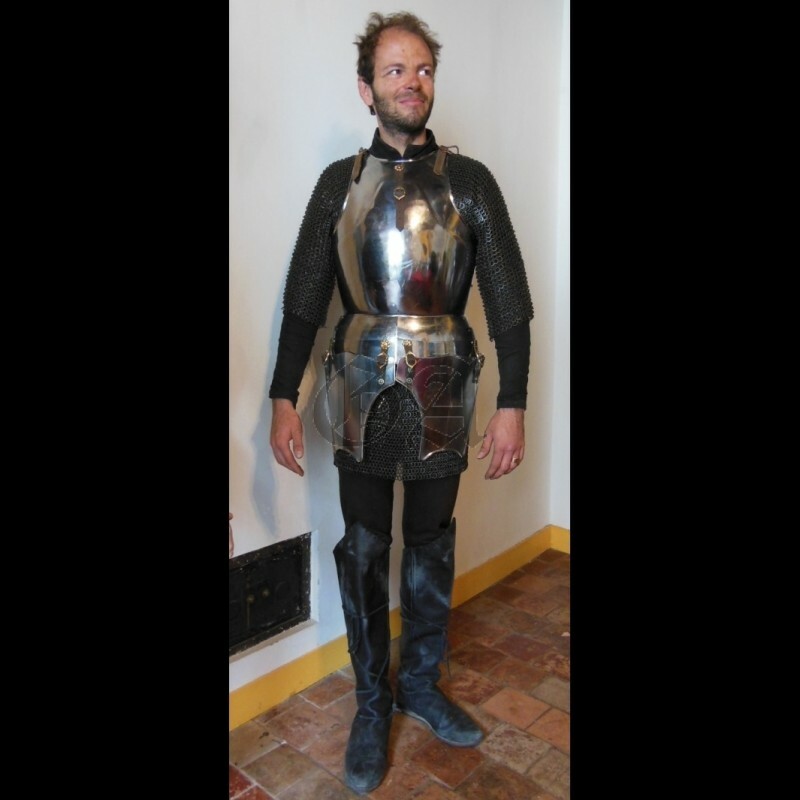 Ideal for beginners, this kit include a haubergeon (please choose your size M,L XL, XXL) and a veteran half-cuirass at your own measures. 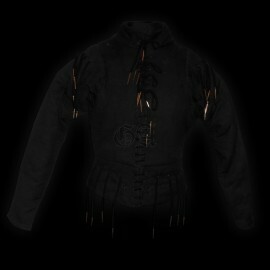 Do not hesitate to add a comfortable arming doublet and you will have a good basis for all your projects ! Our haubergeon and mail gorget are made of properly riveted mail like all real medieval originals. 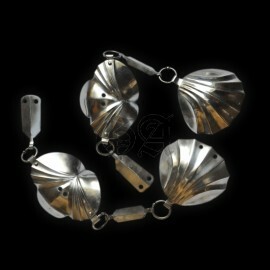 The haubergeon is made of light 9mm18G rings alternated with flat full rings for minimum weight and maximum mobility. 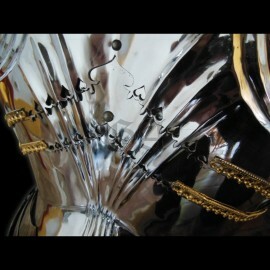 The mail gorget is made of strong 9mm 17G rings and thick leather lining for offering proper protection to the throat.